Add notes and more information to graphs, charts, infographics. etc. C# is an object-oriented programming language from Microsoft designed to run on Microsoft’s .NET platform and to make development quicker and easier than Microsoft’s previous languages. C# 7.2 came out in November, adding several new features geared towards avoiding unnecessary copying. C#, like C++, is heavily used in video game development, so any aspiring video game developers would do well to learn both of them. Java is over 20 years old, used by millions of developers and billions of devices worldwide, and able to run on any hardware and operating system through the Java Virtual Machine. All Android apps are based on Java and 90 percent of Fortune 500 companies use Java as a server-side language for backend development. Python is a general-purpose programming language used for web development and as a support language for software developers. It’s also widely used in scientific computing, data mining and machine learning. McIntosh, Fuji, Red Delicious, Gala, Crispin, Braeburn, Honeycrisp, Jonagold, Granny Smith, and Empire. 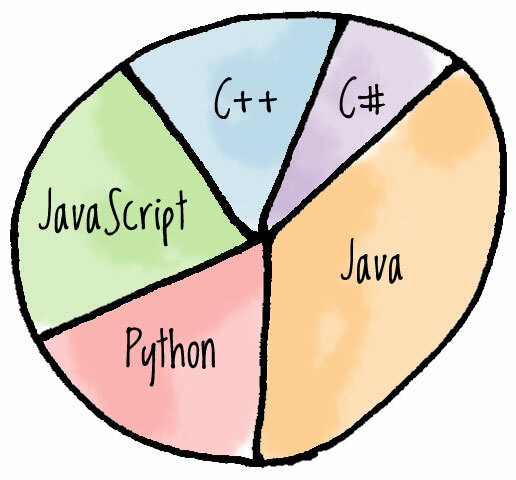 Hover over the slices of the pie chart to get more information about each of those programming languages in a tooltip. 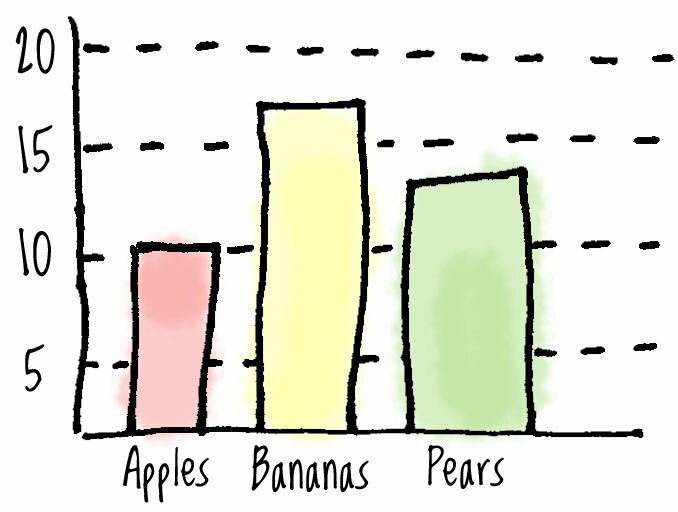 Hover over the bars on the chart to see a list of varieties of that fruit in a tooltip.